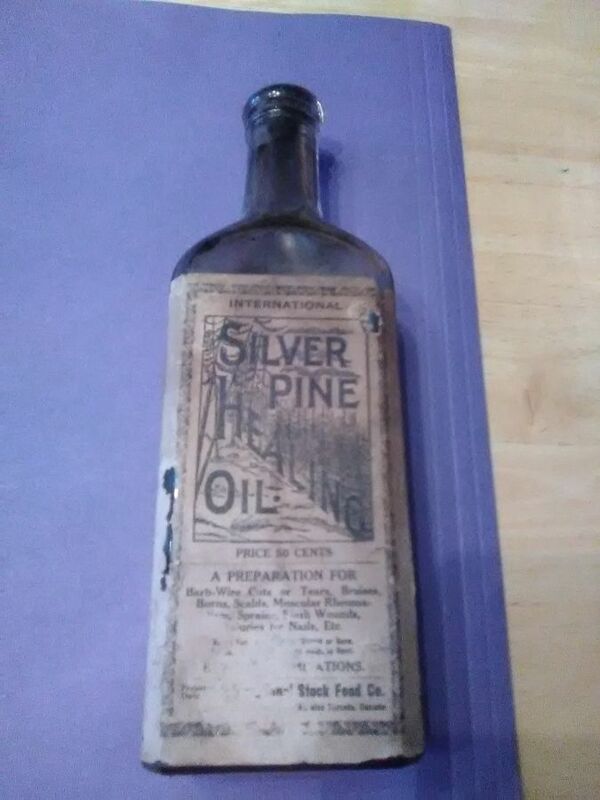 Need to know rarity and value of 2 bottles. Ok guys are these valuable! 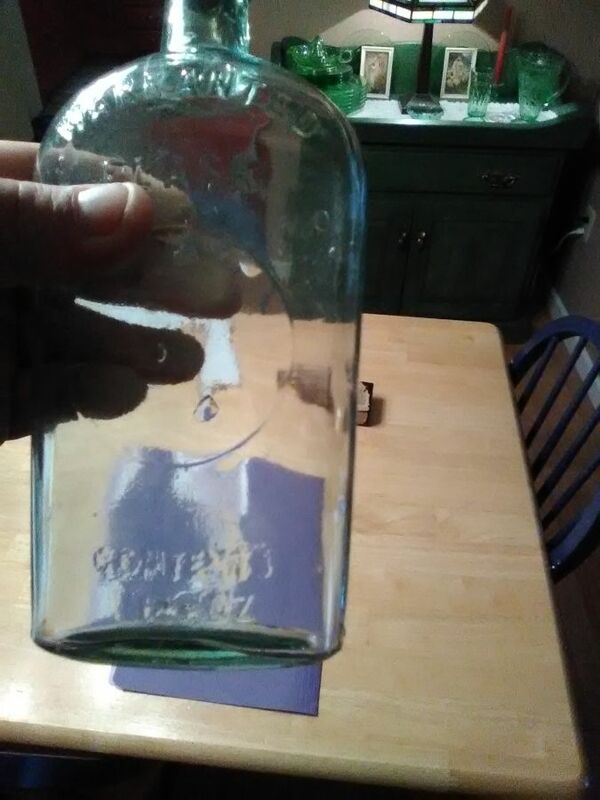 The bluish green bottle has no chips, only one light scratch I can see. 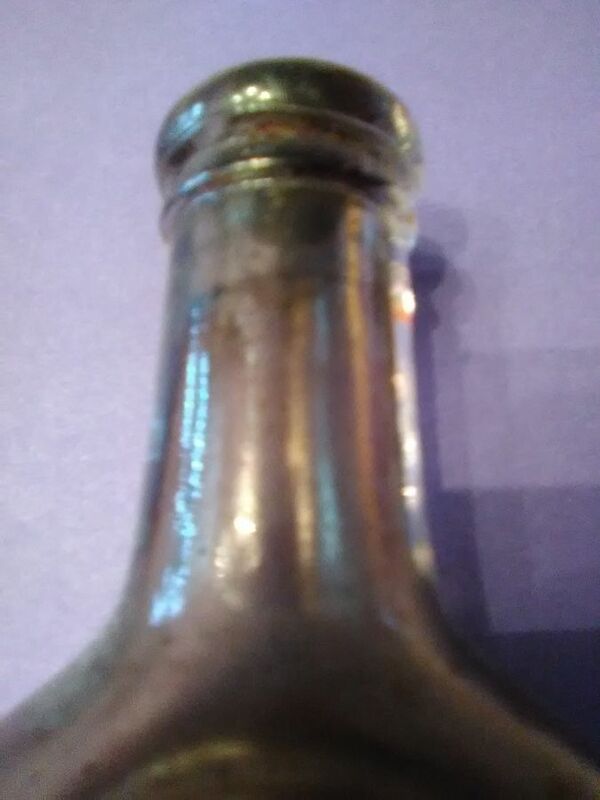 It has numerous air bubbles and it looks as if the lip was attached after the bottle was made. There is a distinct very uneven line around it. 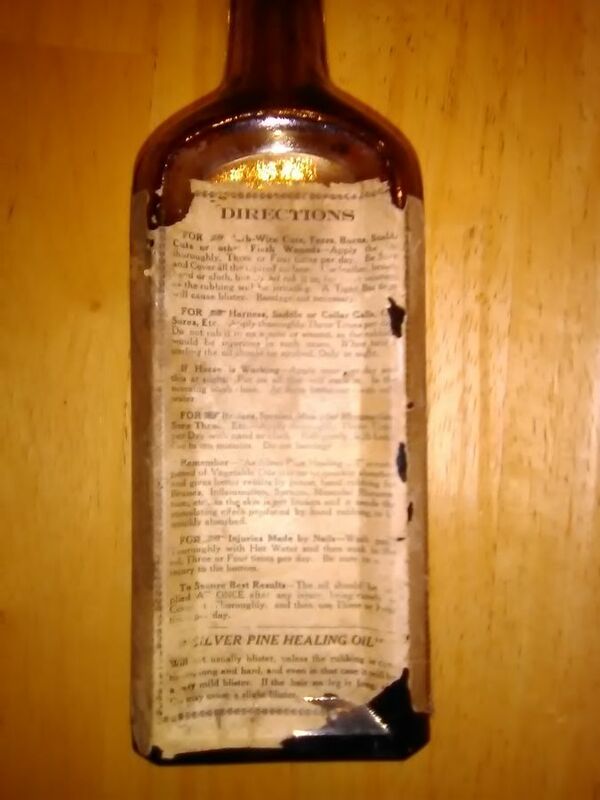 It says " Warranted Flask" at the top. 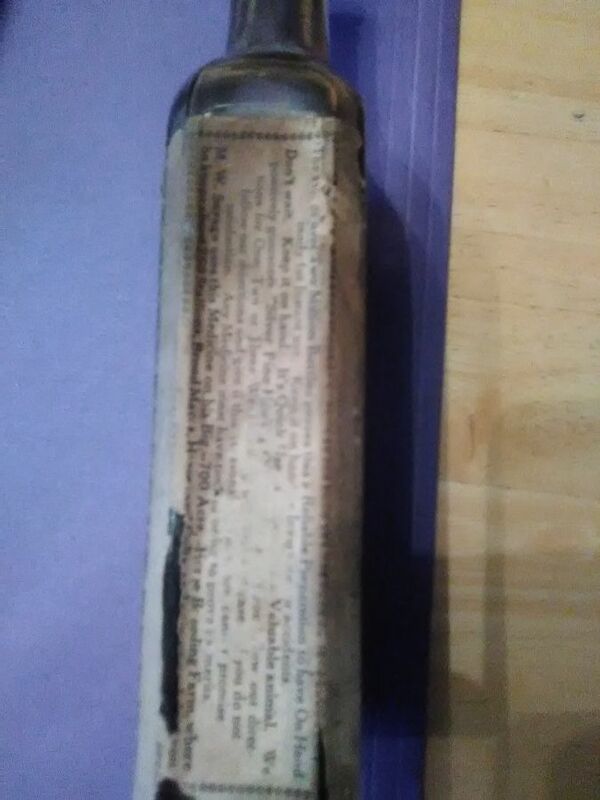 At the bottom it says " contents and so many OZ but it's hard to tell because it was double stamped. 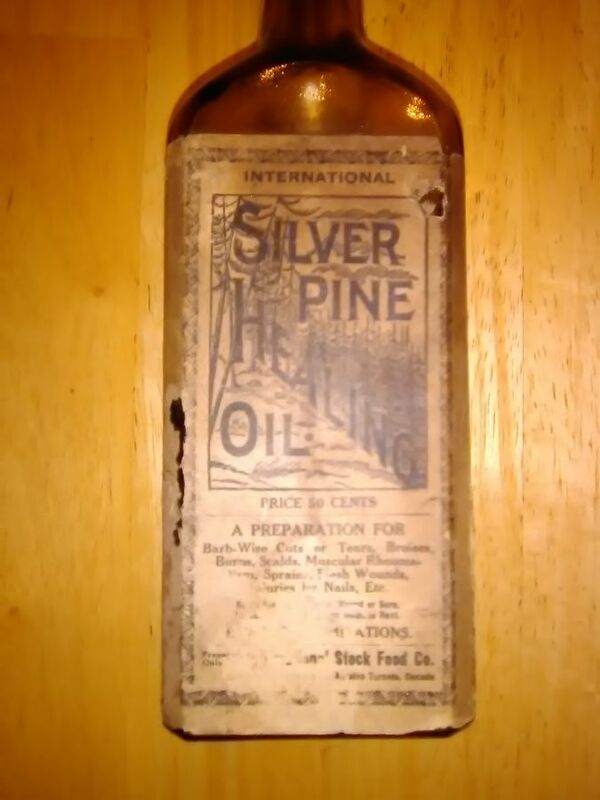 Please post a photo that shows the entirety of the Silver Pine Healing Oil bottle. Details of the lip (mold seam) and the base will help with determining value. The seem on the lip is an uneven line. Very distint. 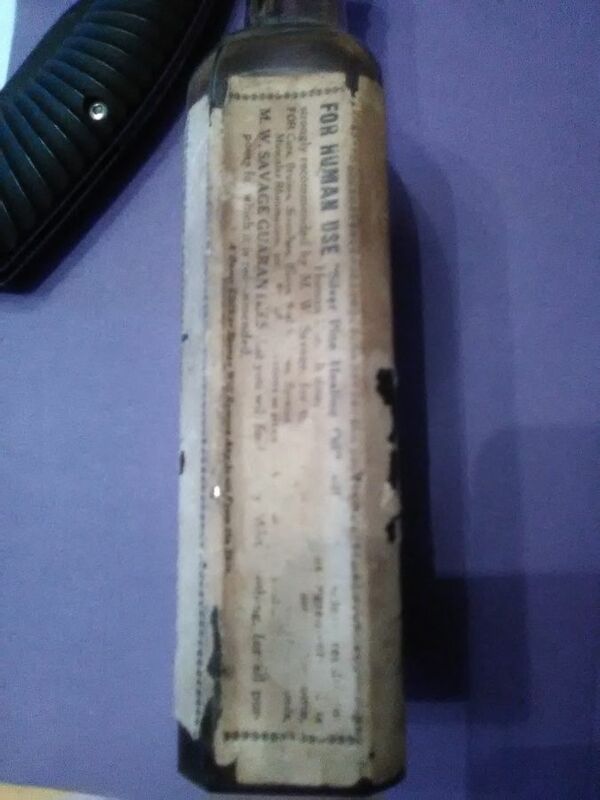 The label Is worn in some spots but mostly ledgible. 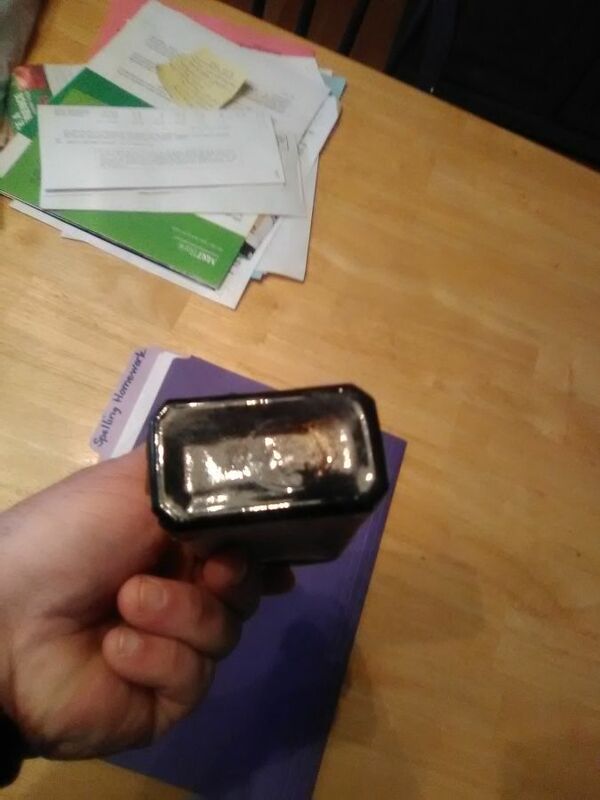 Cork is broken but I think original. 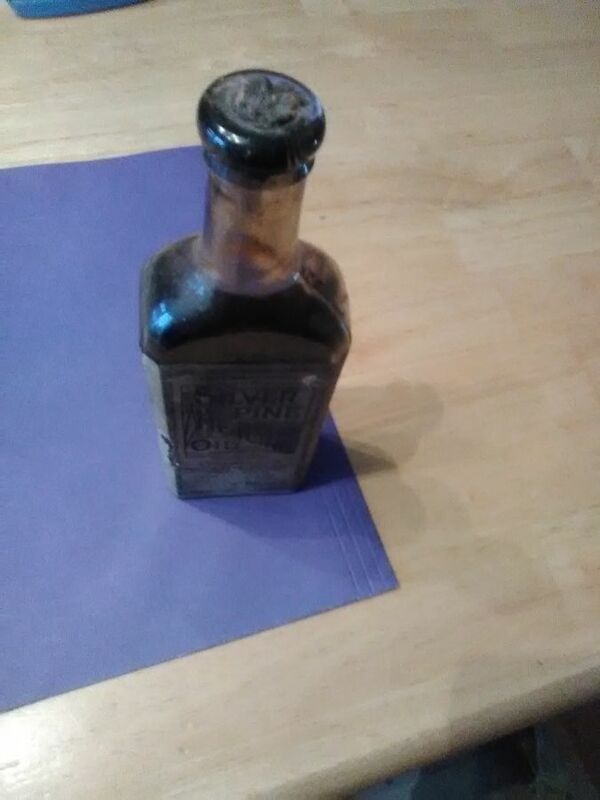 Still hoping to get some insight on these bottles. Generic warrented flasks are quite common. 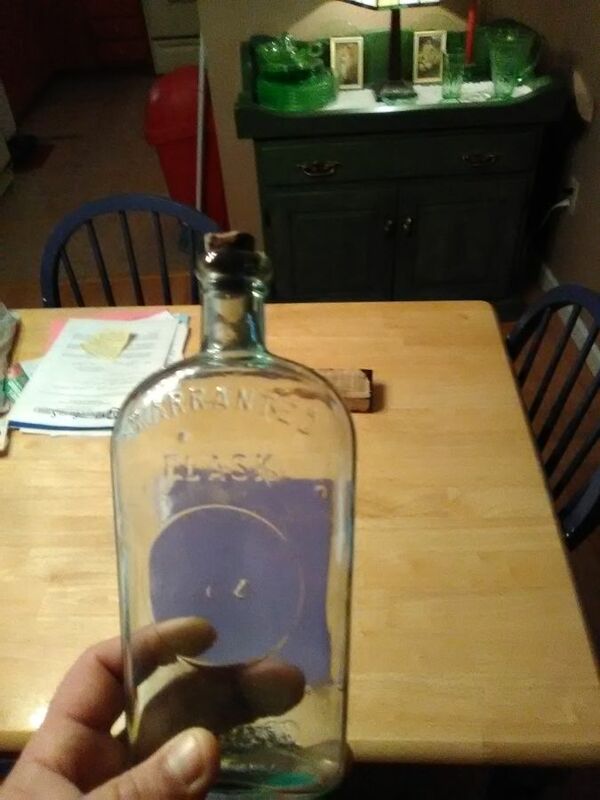 Plain flasks only get interesting to collectors when they are in odd or rare colors. Ok awesome. Thank you so much.